Some focus on reducing your appetite, while others focus on restricting calories, carbs or fat. Since all of them claim to be “the best” diet, it can be hard to know which ones are worth trying. The truth is that no one diet is best for everyone, and what works for you may not work for someone else. The paleo diet claims that modern humans should eat the same foods that their hunter-gatherer ancestors ate — the way humans were genetically designed to eat before agriculture developed. The theory is that most modern diseases can be linked to the Western diet and the consumption of grains, dairy and processed foods. While it’s debatable that this diet is comprised of the same foods your ancestors ate, it is linked to several impressive health benefits. How it works: The paleo diet emphasizes whole foods, lean protein, vegetables, fruits, nuts and seeds, while avoiding processed foods, sugar, dairy and grains. Some more flexible versions of the paleo diet also allow for unprocessed dairy like cheese and butter, as well as tubers like potatoes and sweet potatoes. Weight loss: Several studies have shown that the paleo diet can lead to significant weight loss and reduced waist size (1, 2, 3, 4). In studies, paleo dieters have also been shown to automatically eat much fewer carbs, more protein and 300–900 fewer calories per day (1, 2, 3, 4). Other benefits: The diet seems effective at reducing risk factors for heart disease, such as cholesterol, blood sugar, blood triglycerides and blood pressure (5, 6, 7). Bottom Line: The paleo diet is based on eating whole foods and avoiding grains and dairy. It has several health benefits, including weight loss. The vegan diet was created by a group of vegetarians who also chose not to consume dairy, eggs or any other animal products. The vegan way of life attempts to exclude all forms of animal exploitation and cruelty for ethical, environmental or health reasons. In addition to eliminating meat, it eliminates dairy, eggs and animal-derived products, such as gelatin, honey, albumin, whey, casein and some forms of vitamin D3. Weight loss: A vegan diet seems to be very effective at helping people lose weight, often without counting calories. This may be explained by its very low fat and high fiber content, which makes you feel fuller for longer. Vegan diets have consistently been linked with lower body weight and body mass index (BMI), compared to other diets (8, 9, 10, 11, 12). One study showed that a vegan diet helped participants lose 9.3 lbs (4.2 kg) more than a control diet over 18 weeks. The vegan group was allowed to eat until fullness, but the control group had to restrict calories (13). However, vegan diets are not more effective for weight loss than other diets when matched for calories (14). Other benefits: Plant-based diets have been linked with a reduced risk of heart disease, type 2 diabetes and premature death (15, 16, 17, 18, 19). Limiting processed meat may also reduce your risk of developing Alzheimer’s disease and dying from heart disease or cancer (20, 21, 22, 23, 24). The downside: Vegan diets eliminate animal foods completely, so they may be low in several nutrients. This includes vitamin B12, vitamin D, iodine, iron, calcium, zinc and omega-3 fatty acids (25, 26, 27, 28, 29). Bottom Line: Vegan diets exclude all animal products and animal-derived ingredients. They may cause weight loss due to lower calorie intake and may also reduce the risk of several diseases. Low-carb diets have been popular for many decades, especially for weight loss. There are several types of low-carb diets, but all of them involve limiting carb intake to 20–150 grams of net carbs per day. The primary aim of the diet is to force the body to use more fats for fuel, instead of using carbs as a main source of energy. How it works: Low-carb diets are based on eating unlimited amounts of protein and fat, while severely limiting your carb intake. When carb intake is very low, fatty acids are moved into the blood and transported to the liver, where some of them are turned into ketones. The body can then use fatty acids and ketones in the absence of carbs as its primary energy source. Weight loss: Numerous studies show low-carb diets are extremely helpful for weight loss, especially in overweight and obese individuals (30, 31, 32, 33, 34). Low-carb diets seem to be very effective at reducing dangerous belly fat, which can become lodged around your organs (35, 36). People on very low-carb diets commonly reach a state called ketosis. Many studies have found that ketogenic diets lead to more than twice the weight loss of a low-fat, calorie-restricted diet (35, 37, 38, 39). Other benefits: Low-carb diets tend to reduce your appetite and make you feel less hungry, leading to an automatic reduction in calorie intake (40, 41). Furthermore, low-carb diets may benefit many major disease risk factors, such as blood triglycerides, cholesterol levels, blood sugar levels, insulin levels and blood pressure (34, 42, 43, 44, 45). The downside: Low-carb diets do not suit everyone. Some may feel great on them, while others will feel miserable. Some people may experience an increase in LDL, the “bad” cholesterol (46). In extremely rare cases, very low-carb diets can cause a serious condition called ketoacidosis. This condition seems to be more common in lactating women and can be fatal if left untreated (47, 48, 49, 50). Bottom Line: Low-carb diets severely limit the intake of carbs and push the body to use fat for fuel. They are extremely helpful with weight loss and are linked with many other benefits for overall health. The Dukan diet is a high-protein, low-carb weight loss diet. It’s a low-calorie diet and can be split into four phases — two weight loss phases and two maintenance phases. The other phases involve adding non-starchy vegetables at first, then some carbs and fat. Later on, there will be fewer and fewer “pure protein days” to maintain your new weight. Weight loss: One study showed that women following the Dukan diet ate about 1,000 calories and 100 grams of protein per day and lost an average of 33 lbs (15 kg) in 8–10 weeks (51). Also, many other studies have shown that high-protein, low-carb diets can have major weight loss benefits (52, 53, 54, 55). These include a higher metabolic rate, a decrease in the hunger hormone ghrelin and an increase in the fullness hormones GLP-1, PYY and CCK (56, 57, 58, 59). Other benefits: There are no recorded benefits of the Dukan diet in scientific literature. The Dukan diet limits both fat and carbs — a strategy not based on science. On the contrary, consuming fat as part of a high-protein diet seems to increase metabolic rate, compared with both low-carb and low-fat diets (60). Also, fast weight loss achieved by severe calorie restriction tends to cause significant muscle loss along with the fat loss (61). 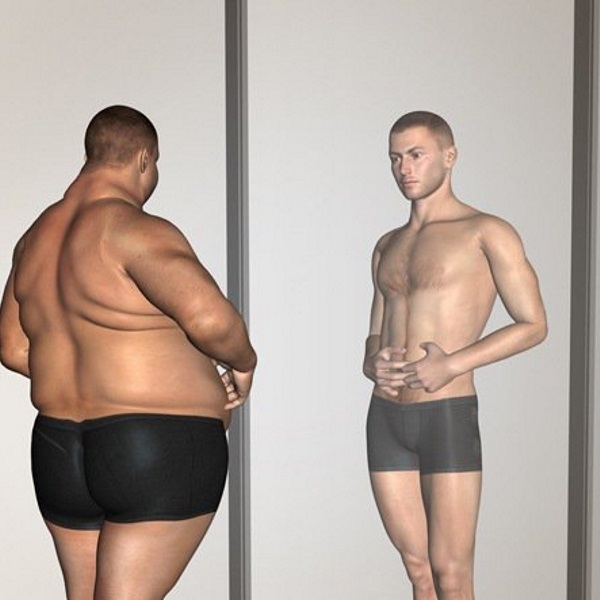 The loss of muscle mass and severe calorie restriction may also cause the body to conserve energy, making it very easy to regain the weight after losing it (62, 63, 64, 65). Bottom Line: The Dukan diet has not been tested in quality human studies. The diet may cause weight loss, but it also may slow down your metabolism and make you lose muscle mass along with fat mass. An ultra low-fat diet restricts the consumption of fat to under 10% of consumed calories. Generally, a low-fat diet contains around 30% of its calories from fat. Many studies have shown that this diet is ineffective for weight loss in the long term. Proponents of the ultra low-fat diet claim that traditional low-fat diets are not low-fat enough and fat intakes needs to stay under 10% of total calories to produce health benefits and weight loss. How it works: An ultra low-fat diet contains 10% or fewer calories from fat. The diet is mostly plant-based and has a limited intake of animal products (66). Therefore, it’s generally very high in carbs (80%) and low in protein (10%). Weight loss: This diet has been shown to be very successful for weight loss among obese individuals. In one study, obese individuals lost an average of 140 lbs (63 kg) on an ultra low-fat diet termed the rice diet (67). Another 8-week study with a diet containing 7–14% fat showed an average weight loss of 14.8 lbs (6.7 kg) (68). Other benefits: Studies have shown that ultra low-fat diets can improve several risk factors for heart disease, including high blood pressure, high cholesterol and markers of inflammation (69, 70, 71, 72, 73, 74). Surprisingly, this high-carb, low-fat diet can also lead to significant improvements in type 2 diabetics (75, 76, 77, 78). Furthermore, it may slow the progression of multiple sclerosis, an autoimmune disease that affects the brain, spinal cord and optic nerves in the eyes (79, 80). The downside: The fat restriction may cause problems in the long-term, as fat has many important roles in the body. These include helping build cell membranes and hormones and helping the body absorb fat-soluble vitamins. Moreover, an ultra low-fat diet limits the intake of many healthy foods, lacks variety and is extremely hard to stick to. Bottom Line: An ultra low-fat diet contains less than 10% of its calories from fat. It can cause significant weight loss and may also have impressive benefits for heart disease, type 2 diabetes and multiple sclerosis. This causes you to eat fewer calories without having to think about it (32, 40). Weight loss: The Atkins diet has been studied extensively and shown to lead to faster weight loss than low-fat diets (52, 81). Other studies have shown that low-carb diets are very helpful with weight loss. They are especially successful in reducing belly fat, the most dangerous fat that lodges itself in the abdominal cavity (30, 31, 32, 33, 34, 35, 36). Other benefits: Numerous studies show low-carb diets, like the Atkins diet, may reduce many risk factors for disease, including blood triglycerides, cholesterol, blood sugar, insulin and blood pressure (34, 42, 43, 44, 45). Compared to other weight loss diets, low-carb diets also show greater improvements for blood sugar, HDL cholesterol, triglycerides and other health markers (52, 81). The downside: Same as with other very low-carb diets (see chapter 3), the Atkins diet is safe and healthy for most people but may cause problems in rare cases. Bottom Line: The Atkins diet is a low-carb weight loss diet. It’s effective for weight loss but also has benefits for many other risk factors for disease. The HCG diet is an extreme weight loss diet claiming to cause very fast weight loss of up to 1–2 lbs (0.45–1 kg) per day. Its proponents claim it will boost metabolism and help you lose large amounts of fat, all without ever being hungry (82, 83). HCG (human chorionic gonadotropin) is a hormone that’s present at high levels during early pregnancy. It tells a woman’s body it’s pregnant and maintains the production of hormones that are important for fetal development. It has also been used to treat fertility issues (84). How it works: The diet is split into three phases. The first phase lasts two days. This is when you begin taking HCG supplements. The second phase is the weight loss phase, during which you follow an ultra low-calorie diet of only 500 calories per day, along with HCG supplement drops, pellets, injections or sprays. The weight loss phase is prescribed for 3–6 weeks at a time. The third phase is when you stop taking HCG and slowly increase your food intake. Weight loss: The HCG diet does cause weight loss, but multiple studies have concluded that the weight loss is due to the ultra low-calorie diet alone — not the HCG hormone (82, 85, 86, 87). The downside: Like most other ultra low-calorie diets, the HCG diet may cause muscle loss, which results in a reduced ability to burn calories (61). Such severe calorie restriction further reduces the number of calories the body burns. This is because the body thinks it’s starving and therefore attempts to preserve energy (63). In addition, most HCG products on the market are scams and don’t contain any HCG. Only injections are able to raise blood levels of the hormone. Moreover, the diet has many side effects, including headaches, fatigue and depression. There is also one report of a woman developing blood clots, most likely caused by the diet (83). The FDA does not approve this diet, labeling it dangerous, illegal and fraudulent (88). Bottom Line: The HCG diet is a fast weight loss diet. It’s not based on any scientific evidence and may reduce metabolic rate and cause muscle loss, headaches, fatigue and depression. The zone diet is a low-glycemic load diet on which you limit carbs to 35–45% of daily calories and protein and fat to 30% each (89). It recommends eating only carbs with a low glycemic load. The glycemic load (GL) of a food is an estimate of how much a food will raise your blood glucose levels after eating it. It takes into account how many carbs are in the food and how much that amount will raise your blood glucose levels. The Zone diet was initially developed to reduce diet-induced inflammation, cause weight loss and reduce the risk of developing chronic diseases (89). How it works: The Zone diet recommends balancing each meal with one-third protein, two-thirds colorful fruits and veggies and a dash of fat, namely monounsaturated oil such as olive oil, avocado or almonds. It also says to limit the intake of high-GL carbs, such as bananas, rice and potatoes. Weight loss: Studies on the effects of a low-glycemic load diet on weight loss are rather inconsistent. Some studies say the diet promotes weight loss and reduces appetite, while others only show a small weight loss, compared to other weight loss diets (90, 91, 92, 93). Other benefits: The greatest benefit of this diet is a reduction in risk factors for heart disease, such as reduced cholesterol and triglycerides (92, 94, 95, 96, 97). One study also showed that the Zone diet may improve blood sugar control, reduce waist circumference and reduce systematic inflammation in overweight or obese individuals with type 2 diabetes (98). The downside: There are not many issues with this diet. The only thing to criticize is that it limits the consumption of some healthy carb sources, such as bananas and potatoes. Bottom Line: The Zone diet is a low-glycemic load diet. Studies on its weight loss benefits are inconsistent, but the diet improves many important health markers and reduces the risk of heart disease. Rather than restricting the foods you eat, it states when you should eat them. Therefore, it can be seen as more of an eating pattern than a diet. The 16/8 method: Involves skipping breakfast and restricting your daily eating period to 8 hours, subsequently fasting for the remaining 16 hours of the day. The 5:2 diet: On two non-consecutive days of the week, you restrict your intake to 500–600 calories. On the five remaining days, you eat like normal. The warrior diet: Eat small amounts of raw fruits and vegetables during the day and one huge meal at night, basically fasting during the day and feasting at night within a 4-hour window. It can make you eat fewer calories overall, as long as you don’t overcompensate by eating much more during the eating periods. Weight loss: Intermittent fasting is generally very successful for weight loss. It has been shown to cause weight loss of 3–8% over a period of 3–24 weeks, which is a lot compared to most weight loss studies (99, 100). In addition to causing less muscle loss than standard calorie restriction, it may increase your metabolic rate by 3.6–14% in the short-term (99, 101, 102, 103). Other benefits: Intermittent fasting may reduce markers of inflammation, cholesterol levels, blood triglycerides and blood sugar levels (104, 105, 106, 107). Furthermore, intermittent fasting has been linked to increased levels of human growth hormone, improved insulin sensitivity, improved cellular repair and altered gene expressions (108, 109, 110, 111, 112). Animal studies also suggest that it may help new brain cells grow, lengthen lifespan and protect against Alzheimer’s disease and cancer (113, 114, 115, 116). Some studies have shown it’s not as beneficial for women as it is for men (117, 118). In addition, some people should avoid fasting. This includes those sensitive to drops in blood sugar levels, pregnant women, breastfeeding moms, teenagers, children and people who are malnourished, underweight or nutrient deficient. Bottom Line: Intermittent fasting cycles between fasting and eating in various patterns. It is very effective for weight loss and has been linked to numerous health benefits. There is no such thing as a “best” weight loss diet. Different diets work for different people, and you should pick a way of eating that suits your lifestyle and your taste preferences. The best diet for you is the one you can actually stick to in the long-term.